Water leaks can cause a number of problems. An undetected water leak can spread moisture throughout a building structure. It can cause repair problems that result in heavy expenses later. If you notice a water leak in your home it is best to call in a professional leak detection agency right away and get the problem fixed as soon as possible to avoid structural damage, health problems and huge repair costs. 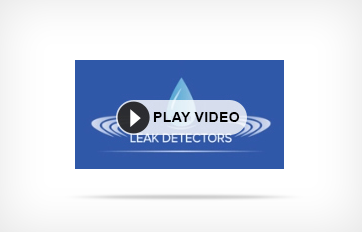 A reputable water leak detecting company will make use of advanced leak detection technology to pinpoint the location of the leak quickly and easily. Prior to the arrival of such technology, the traditional way of detecting water leaks was through spot detectors. These devices were effective in finding leaks at a single point. Typically the area of application was confined to spots where the water moves towards a particular location, floor drains and drip pans. At times different spot detectors were connected together in order to determine the presence of a water leak in a large area. The reason why they were popularly used is because the device was easy to manage and cost effective. The drawback of this method is that it cannot find a leak if the water does not come in contact with the probe. So if a water leak is just a foot away from the probe and does not touch it, this device will fail to detect it. Another traditional method of finding water leaks is with tape based systems. A tape is wound around the structure that has to be checked and fixed to it with an adhesive. When the tape becomes wet the alarm goes off. Though it is effective in finding water leaks, inherent moisture in the tape is a source of false alarms. Advanced leak detection methods go beyond the scope of traditional means of finding water leaks. They have the ability to find multiple leaks simultaneously and can detect them in not just focused areas but also in large areas. This feature is essential to determine the extent of damage caused by the water leaks and all its possible sources. The accuracy of this equipment is excellent at uncovering the minutest leaks so that they can be fixed as soon as possible. This method is particularly useful in outdoor use. Radar detection is used to pinpoint a leak and it furnishes information regarding the leak size. It makes use of radar waves that are able to traverse most types of material. When the waves strike a pipe they are reflected back to a detecting device that can detect the existence of a leak based upon the characteristics of the radar waves that are returned to it. This technique is most useful for indoor leaks, where there is easy access to pipes. The process is relatively straightforward. A gas, normally industrial hydrogen, is pumped into pipes under pressure and then the pipes are inspected using an instrument that can detect the gas. Since the gas is introduced under pressure, if there is a leak, the detecting instrument will be able to identify it rapidly. Geophones are sound wave detecting devices, with similarities to stethoscopes, and they work on the same principle. Geophones absorb and amplify sound waves, and leaks are identified by listening, since each leak will produce a characteristic sound, and finding the source of the sound means that the leak source has been detected as well. When using a geophone, small leaks are actually easier to detect than larger leaks, because they produce more sound. In some instances, small leaks can even be detected with the naked ear. This entry was posted in Leak Detection and tagged Leak Detecting, Leak Finder, water leak. Bookmark the permalink.